People are seeking solutions to the world’s challenges. One way for creatives to help is to write stories that raise awareness about the challenges as well as suggest solutions – all while being engaging and entertaining. We’ll explore how you can use Mythic Themes, Archetypes, and Symbols in your stories to inform and inspire young people about ecology, equality, education, science and technology, and more. Today there are so many ways to distribute your stories to even wider audiences. It's no secret that from pre-school to teens, young people do spend time on the internet, but here are some web usages which can greatly benefit children as well as those of you who are writing for the children's and YA marketplace! 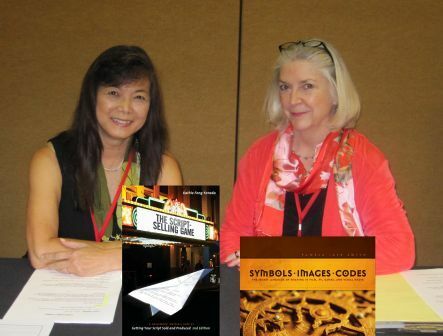 Kathie Fong Yoneda and Pamela Jaye Smith have decades of experience in all types of media from major studios to wildly independent web series, and look forward to discussing the important challenges and opportunities open to writers today. **Handouts and autographed copies of the speakers' books included. KATHIE FONG YONEDA has worked for Paramount, Universal, Fox, and Disney, focusing on development of live action and animated film, television, novels, adaptations, and web series projects. Kathie has given workshops in North America, Europe, Australia and Asia. Clients include RAI-TV Roma, National Film School of Denmark, Bournemouth University, ScreenTraining Ireland, South Carolina Writers, Singapore Media Academy, Romance Writers of America, ScriptFest, Roma Webfest, Writers Institute, Hawaii International Film Festival, and Melbourne Webfest. Kathie is a mentor for the Rocaberti Writers Retreat in France. 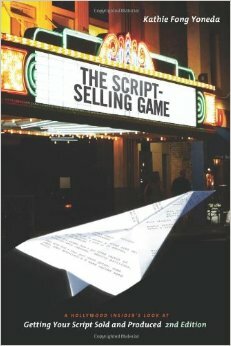 Her clientele includes several award-winning writers and her book,The Script Selling Game (2nd edition), is used in screenwriting curricula in universities worldwide. She is on the Advisory Board for IMAGO (French Production Company) and LAWEBFEST. PAMELA JAYE SMITH is a mythologist, author, international consultant-speaker, and award-winning writer-producer-director. She’s the author of 5 books for writers and a guide to Romantic Comedies, and co-author of two children’s books. Pamela appears as a myth expert for Fox’s “Ice Age: Continental Drift”, Microsoft’s “Age of Mythology” and the “American Jedi” documentary. Credits include Fox, Disney, Paramount, Microsoft, Universal, RAI-TV Rome, UCLA, USC Film School, American Film Institute, Women in Film, Natl. Film Institute of Denmark, LA and Marseille WebFests, Romance Writers of America, Children’s Book Writers LA, and more. One of her scripts was a winner at the 2015 Bahamas International Film Festival. MYTHWORKS helps media-makers improve their stories, find and live their personal myths, and better present their projects to producers and the public. Having trouble making your story fit the pattern of The Hero’s Journey? Can’t quite make those paradigms match your own characters and plot? Maybe that’s because your story is actually based on a different pattern. Contrary to popular opinion, The Hero’s Journey is not the only mythic Theme. It’s certainly a good one but it is only one of many. 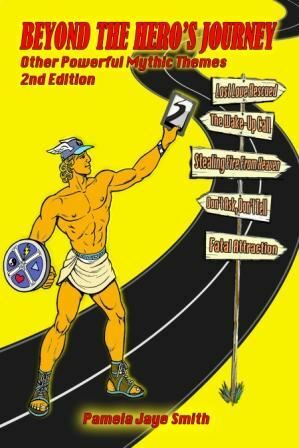 This book introduces you to many other powerful Mythic Themes ranging from “About Face” to “Damsel in Distress”, from “Stealing Fire From Heaven” to “The Wakeup Call” and more. The Script-Selling Game is like having a mentor in the business who answers your questions and provides you with not only valuable information, but real-life examples on how to maneuver your way through the Hollywood labyrinth. While the first edition focused mostly on film and television movies, the second edition includes a new chapter on animation and another on utilizing the Internet to market yourself and find new opportunities, plus an expansive section on submitting for television and cable.